Students spend about $447.25 on discretionary purchases every month. Loyola students will spend more than $71 MILLION this year. 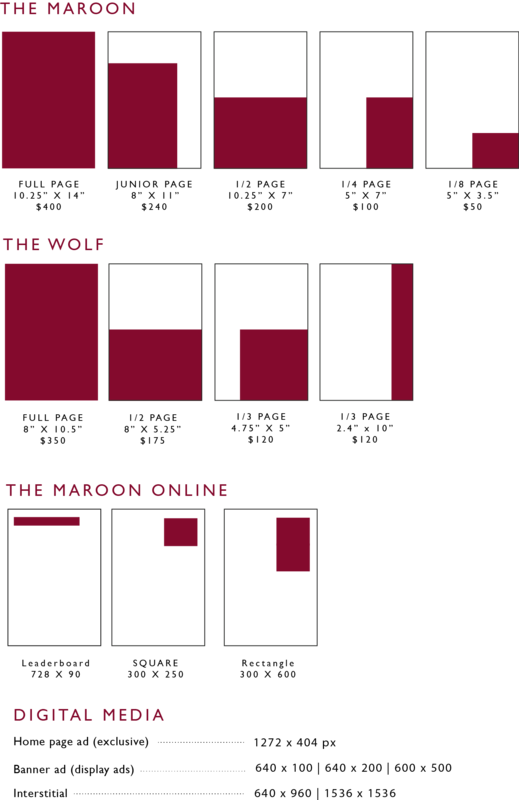 83% of our students read The Maroon EVERY MONTH. NO OTHER MEDIA EVEN COMES CLOSE. businesses and to decide what to buy. this year and connect with our students today.